It’s a life filled with risk and sometimes, no returns. This life isn’t something most people anticipate, even if they’ll never admit it. The life of an entrepreneur isn’t always glamorous and there are no quarterly promotions and raises, just because you’ve been working for a long time. The struggle is definitely real. Despite the occasional highs, a tenacious entrepreneur knows to keep an eye out for the lows because with certainty he or she knows they’re around the corner. Even with so much at stake, the life of an entrepreneur isn’t worth walking away from for most creatives like me. If I want more money, success, and overall happiness in my life, I will and forever will be an entrepreneur. In this post, I talk about the benefits of pursuing an entrepreneur lifestyle and what to expect from working towards your dream into independence and unlimited income potential. It's an inevitable fate. The hustler, the artist, and the boss lady inside me loves the thought of my hard work and effort being transformed into profit/income for the me and the family. 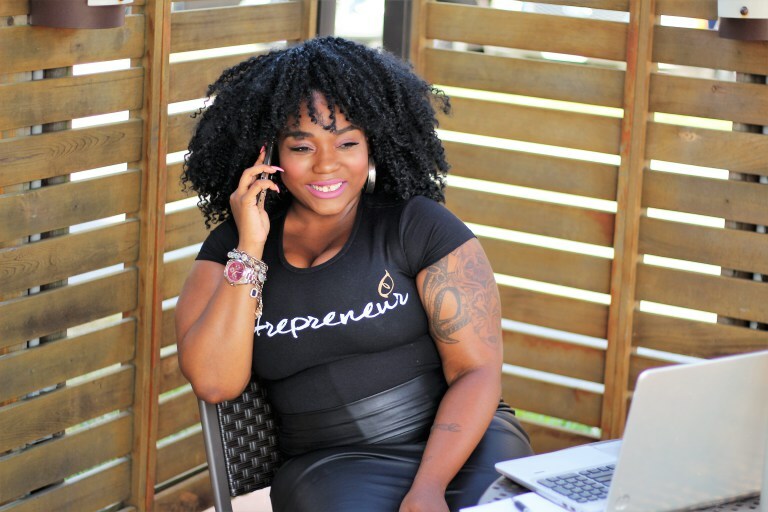 The quickest path to extra income in the home for most millennial moms is the path to entrepreneurship and starting something fruitful on your own. With all of the hurdles and challenges that come with being an entrepreneur, I strongly suggest that all creatives pursue this lifestyle. Yes, you have to be a strong-willed, ambitious and open-minded individual. Nevertheless, the wealth of knowledge and growth surrounding the life of a persistent and dedicated entrepreneur can yield success, far beyond monetary. There are groups and organizations that are designed to educate and inspire entrepreneurs to keep climbing up, hustle hard. They educate entrepreneurs on how to showcase their authenticity. Businesses like Entrepreneur Store, commit their efforts to uplifting and supporting legions of entrepreneurs, making it easier for entrepreneurs to feel less alone. It’s because there are so many people out there struggling with professional insecurity and trials that I feel compelled to keep striving for that dream. Finding connections in groups that make it their mission to support business owners, like Entrepreneur Store, it’s easier to feel supported and encouraged to hustle and live your dreams to the best of your ability. If you check out the website at Entrepreneur Store, visit entrepreneurstore.org, you can cop on of their cool entrepreneur t-shirts that help identify you as an entrepreneur in a cute and stylish way. They’ re working to help encourage entrepreneurs in their efforts to start, run, manage, and build their business online and offline. I encourage people to seriously consider becoming an entrepreneur. Experience building a business, while using your talents, gifts, knowledge, and skills to help serve the community in some amazing way. If, for whatever reason, you can’t find that inner gift, make it your entrepreneurial duty to help people find their talents and opportunities to build businesses of their own. There are opportunities in teaching, workshops, speaking, and consulting other that can help build you up as an entrepreneur while giving back and helping others at the same time. Many of us love to shop! One of the reasons I started my business, was because my shopping addiction needed to pay off in more ways than one. Where we put our coins can help so many blossoming entrepreneurs, as we support their endeavours and their crafts. Shopping local, researching business that serve your interest and making exclusive purchases of their merchandise, utilizing the services of talented beauty and fashion entrepreneurs, are all amazing ways to support the entrepreneurial journey of others. By posting reviews and engaging online, you have the opportunity to shed light on remarkable entrepreneurs working hard to gain success. In order to grow as an entrepreneur, I've learned that it can sometimes take a village. It’s overwhelming trying to run your business, create, manage, and market your efforts, all at the same time. Sometimes, it’s best to find additional educations, instruction, and gain new knowledge on ways to grow and prosper your business. Often, you may find that you have to outsource new talent, in order to get things done and to be effective. Developing your skills and finding support to develop your business, are ideal ways to gain new opportunities. Developing is about growing your revenue, and learning sufficient methods to getting more things done. Overall, the life of an entrepreneur isn’t as glamorous as some try to make it seem. There are so many ups and downs on the road to success and professional fulfillment. With the support of a loyal community of people who enjoy your business, entrepreneurs can grow financially. Collaborations with other talented and knowledgeable individuals will ensure that your business grows and you gain the support that you need. Finally, the desire to learn more and grow your entrepreneurial skills, your business and dream can thrive beyond measure. It takes patience and an honest passion for what you are trying to do, but it’s worth it. Entrepreneurship, is a “you get what you put into it” type of move. There are no shortcuts if you really want to see results. There is constant hard work involved, which can sometimes go unnoticed for a while. Nevertheless, real entrepreneurs fight through feelings of inadequacy, impatience, and they keep building. At the end of the day, the dream is far bigger than the challenge, the goal is the focus, and all eyes are on the prize. To be an entrepreneur is to know that you are creating something that wasn’t there before, in order to sustain yourself and your family. It’s a phenomenal feeling of financial freedom, and with dedication, you can enjoy it. But it’s great to know that you’re supported by others, like the Entrepreneur Store, when you need encouragement and motivation. Join those that chose that entrepreneur lifestyle, and became a Boss and/or Game changer. L'esha Hornes is an author, lifestyle blogger, model and vintage/thrift stylist. Motivating unique individuals to love their flaws and still rock an awesome life. Through Fashion, Culture, Entertainment, and Personal Experience, L'esha loves to inspire others & make people laugh. Mother of two awesome superheroes, wife to Mr. Incredible, & a mentor to those looking to learn to love themselves. 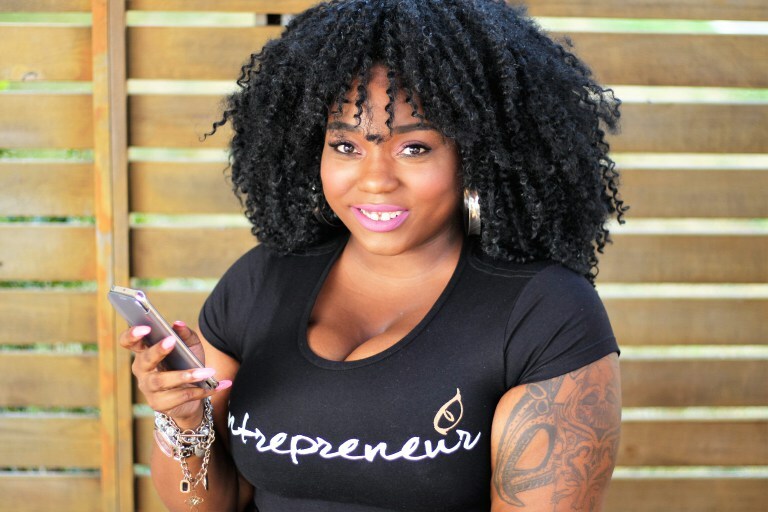 L'esha is the baddest creative motivator!